Hi Jane. Have not seen Black Ice technique before - will have to check out the video on Kath's blog. Your acetate card is so creative and unique. Thanks for sharing with us at CAS Mix Up! Beautiful metallic colouring on dark card stock ... something else I need to try. 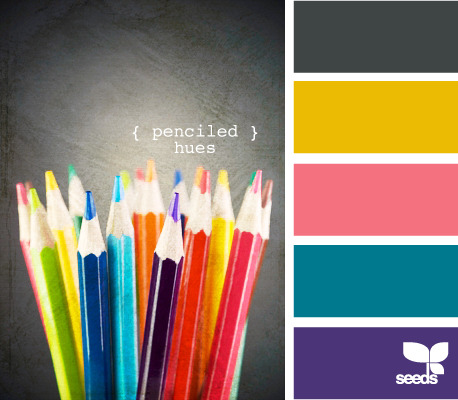 :) Lovely colours and shine. 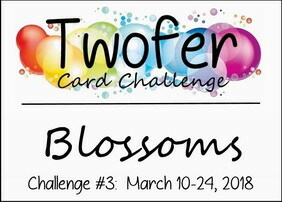 Thanks for playing along with us at Twofer Card Challenge! Beautiful cards Jane, a pretty stamp and two fabulous designs. I'm not familiar with the Black Ice Technique, but I need to take a look! I love the black and white blossoms and how you've put them on the acetate between the polka dots! I love the black background with the metallic colors too! Thanks for sharing with us at CAS Mix Up! Love the floating blossoms on the acetate! Great idea. I'll have to check out the Black Ice Technique. Love your other card too with the lovely colours and the gold stamping on the dark background. 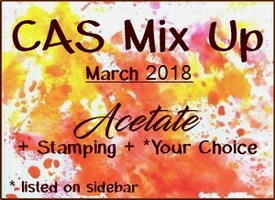 Thanks so much for joining us at CAS Mix Up. The Black Ice ,technique is new to me But I love the card you did using it. Both your cards are so lovely. 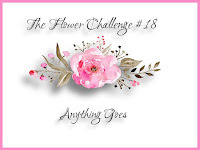 Thanks for joining the March Twofer challenge. Great classical look on your acetate card. The lovely apple blossoms make for a lot of interest on this sympathy card. Your colouring over the dark card base turned out fabulously. Thanks for sharing the Black Ice technique. Wonderful of you to join us at CAS Mix Up! Two very lovely cards, my favorite is the one with the black card stock and your metallic pencils, the colors are so vibrant and shiny. 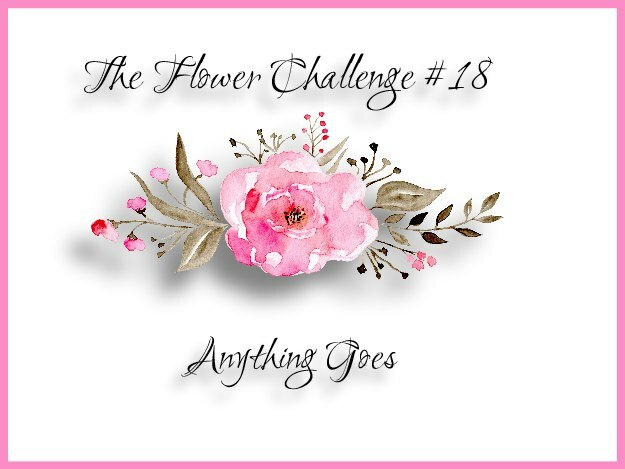 Thank you for sharing with us at THE FLOWER CHALLENGE, hope you play along again soon. Fabulous cards ! Love the black card with the colouring with metallic pencils, so elegant ! A beautiful sympathy card too and so clever to use acetate ! Thanks so much for sharing and for playing along at Less is More. What a great technique, just watched the video so must try this (if I can bear to get my VersaMark pad dirty! lol) A lovely monochrome card even if not as intended. Oh, Jane, this is definitely Clearly Besotted, I have that image too. Jane, this looks absolutely on black! Love the tough of gold! Thanks so much for joining us at House of Cards this month!